Alan Kaufman is the author of Drunken Angel from Viva Editions. The author of the novel Matches and a critically acclaimed memoir, Jew Boy, he is also the award-winning editor of several anthologies, most notably The Outlaw Bible of American Poetry. He lives in San Francisco. Tim Elhajj for Junk Talk: I’m a recovering addict myself and thought you really captured what it feels like to navigate the rooms of a 12-step fellowship as a new person. Twelve-step programs, and even the culture of self-help and pop psychology, are parodied in the media, but you write with such reverence of the 12 steps, sponsorship and even your higher power. Did you feel any reluctance as a writer to cast yourself as such an unabashed 12-Step believer? Alan Kaufman: Not really. The twelve steps saved my life. Also, significantly, they lead me through existential doors that I had sought for all my life but could not somehow access. Before coming into Recovery, I could READ Camus and even remotely sense my kinship with his perspective and yet have absolutely no idea just how to extract personal meaning from his work for my own life. I could, intellectually-speaking, identify with, say, Melville and yet not be able to grasp the essential spiritual struggle implicit in every line he wrote. But when you have death perched on your shoulders–an awareness of which is absolutely essential to successful engagement with the Steps, Recovery, et al.–then, suddenly, the moment of clarity is at hand. Suddenly you feel identification with others. 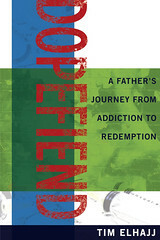 You can grasp the spiritual struggles at the heart of so much of what others have faced and wrestled with, the questions about our essential meaning, our actions, our core beliefs–all of which we must confront when getting sober. Junk Talk: You’re not afraid to weigh in on political or social issues in your work. In one particularly memorable and poignant passage, you meet up with a mentally ill, homeless woman. You’re essentially homeless yourself or very close to it. You allow the passage to become a meditation on homelessness, a stinging indictment of American values. Do you feel called upon to use your gifts to speak to issues that you feel passionate about? Alan Kaufman: Absolutely! My spiritual life and sobriety and my writing are inseparable from my sense of existential responsibility to whatever lies at hand. And if what lies at hand is glaringly unjust, how can I soberly look away?In fact I would say even further that I dare not look away if I hope to remain sober. I cannot falsely refuse to bear witness or fail to respond to an urgent human crisis lying near death at my very doorstep or at the very least to express it through my writing. Because think of the constant lies I will need to tell myself in order to deny what I have seen. I will need to numb myself to a considerable degree in order to avoid the pain of such refused witness. And that is precisely the sort of somatization which modern society–the State and Corporation and most political isms– has fostered among contemporary populations; a kind of feel-good trance state self-absorption that requires, on the part of the individual, constant numbing consumption and denial to sustain. I cannot afford that. Nor do I choose it. Also, my sobriety is contingent upon an ability to empathize with and respond actively to life, meaning other human beings. How can I experience your suffering and turn away indifferently? But if I embrace it at some level, even only as a writer, and convey it, then somehow I have served a purpose. It has not been lost. It will somehow matter. It will not be completely swallowed up. I may not be able to directly counter all such suffering. But I can at least use my gifts as writer and witness to be sure that some of what I have seen is not forgotten. Junk contributor (junkie? junketeer?) Laurie Woodum has recently published her first memoir, Goodnight Sweet Pea. Determined that her mother will die in her own home, a daughter faces floundering as an inexperienced caregiver, job loss, a strained marriage, and restricted freedom. And she discovers the unexpected beauty and humor along a path paved by dementia and lined with the deeper rhythms of life. Goodnight Sweet Pea: Falling in Love with My Mother–A book about loving and letting go. February is going to be a great month for us. 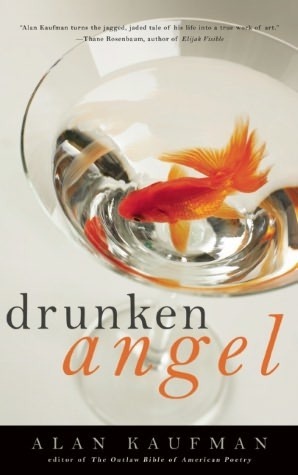 We have another author interview from esteemed author Alan Kaufman, as well as an excerpt from his latest work, Drunken Angel.